Tiffany and David Ortiz at the Park Plaza. Red Sox slugger David Ortiz has made a lot of money over the course of his career. He’s also raised a lot. Monday, Big Papi (pictured with his wife, Tiffany) hosted a party at the Park Plaza to celebrate the work of the David Ortiz Children’s Fund, a nonprofit that partners with MassGeneral Hospital for Children and the World Pediatric Project to serve children in New England and the Dominican Republic who don’t have access to the pediatric services they need. 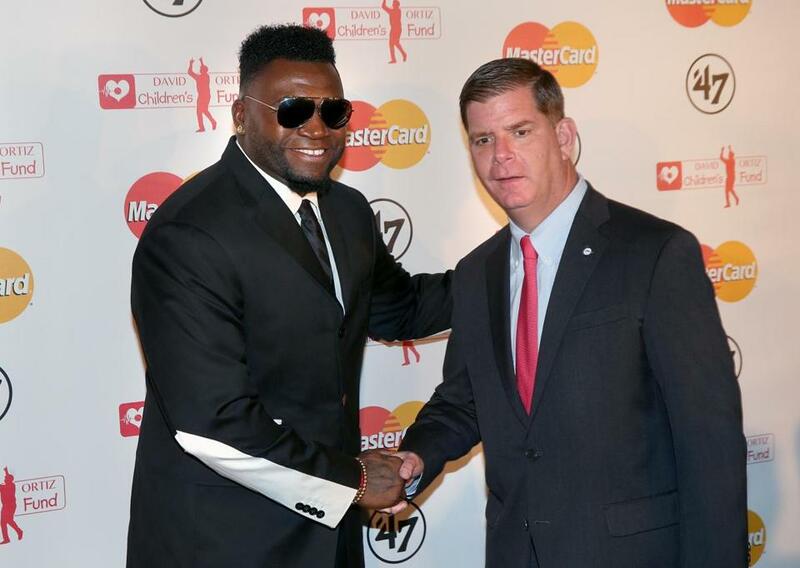 The guest list for Monday’s gala included many of Papi’s teammates, assorted Boston sportos, Mayor Marty Walsh, actor Kevin Chapman, and comedian Lenny Clarke. Ortiz greeted Mayor Marty Walsh.